In my nearly 40 years of following politics, I have never seen a politician as clueless and as out of touch as Jeff Flake. It shouldn't be a mystery to anyone why his approval rating in Arizona is a lowly 18%. If he cannot see how biased and corrupt the media is, he doesn't deserve to be in the Senate and Arizona voters have made that point abundantly clear. 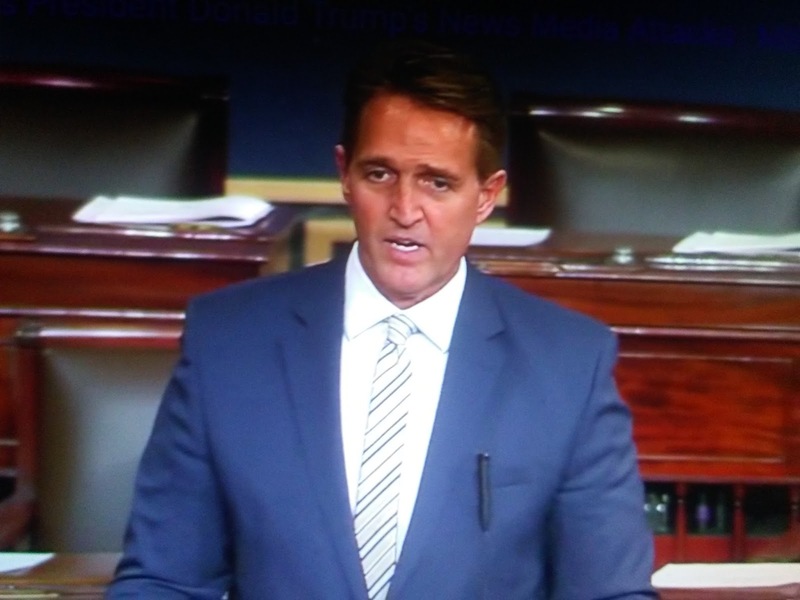 CNN reports Republican Sen. Jeff Flake, a frequent critic of President Donald Trump, took to the Senate floor Wednesday morning to rebuke the President for his repeated attacks on the truth as well as his colleagues for failing to be a check on Trump.